Binder containing 662 slides/transparencies (35mm) of entertainers, celebrities, singers and sports stars (mostly multiples of each subject) from the 1970s and early 1980s, made by noted celebrity photographer Richard Bocklet. Images are candids made at Academy Awards nights, Emmys, movie premieres, openings, parties, dance galas and other social gatherings. 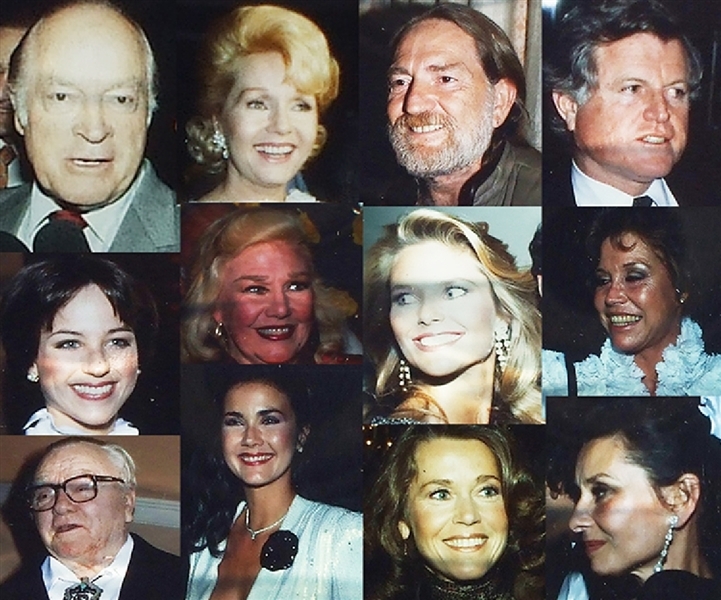 Images include: Audrey Hepburn, James Cagney, Bob (and Delores) Hope, Mike Farrell, Jane Fonda (many), Tom Hayden, Carroll O’Connor, Loretta Swit, Geraldine Chaplin, Lynda Carter, Christie Brinkley, Sally Ride, Ed Ashner, Terri Garr, Dorothy Hamill, Sugar Ray Leonard, Ted Kennedy, Tom LaSorda, Billy Martin, Steve Martin, Willie Nelson, Rod Steiger, Mary Tyler Moore, Nick Nolte, Cheryl Tiegs, Jon McEnroe, Nancy Reagan, Debby Reynolds, Ginger Rogers and others.